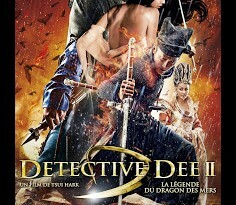 As the title is telling us, Young Detective Dee: Rise of the Sea Dragon (狄仁杰之神都龙王, 2013) by Tsui Hark is not a sequel but a prequel. Tsui Hark and his writers are now interested in the past of the detective that led him to be a so famous detective in his country. Film review by Bulles de Culture.